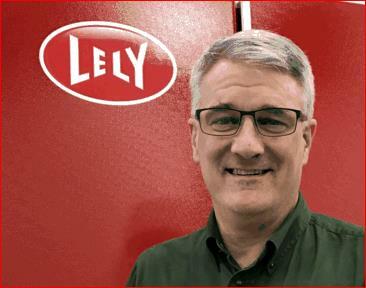 Lely North America welcomes Tom Sauerman of Medford, Wisconsin, as a senior Farm Management Support (FMS) advisor. In this role, he will work with Lely Centers and their stakeholders, improving the well-being of the Lely customers by providing farm, herd and equipment management guidelines. Sauerman has worked primarily in the dairy nutrition field since attending the University of Wisconsin (UW), River Falls. He owned a private dairy nutrition consulting business for more than six years, and also owned and managed a 500-cow dairy in western Wisconsin for two years in partnership with other family members. The Lely NA FMS team has the goal to use their guidance and support to help dairy producers improve the production and profitability of their dairy operations. Sauerman and his wife, Gail, have a daughter who works in public relations in Denver, Colorado, and a son who is in his last semester at the UW, LaCrosse. Sauerman serves as a Wisconsin Interscholastic Athletic Association Wrestling Official, participates in local sports and enjoys whitetail deer hunting. He also rides, trains and competes with his registered American Quarter horses. Click for more information on Lely Farm Management Support.